California’s raging wildfires are responsible for bulldozing one of the state’s smallest towns, and officials believe the town of roughly 20,000 retirees and blue-collar workers will likely never recover. 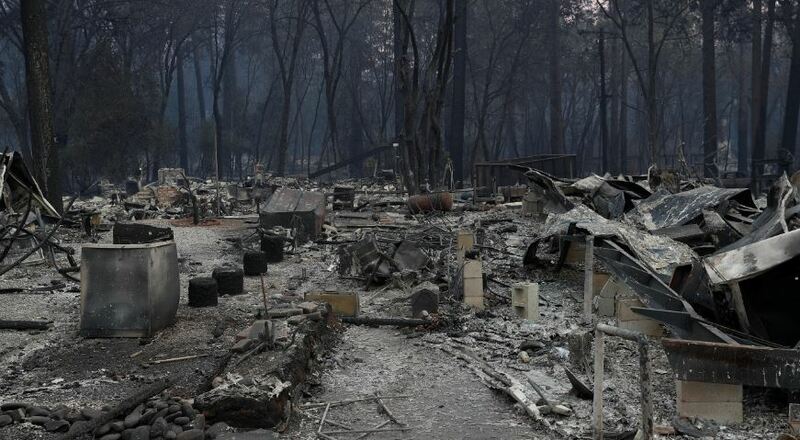 The fires killed 29 in Paradise, California, a town of 27,000 people that lost over 95 percent of its structures, according to Kit Bailey, assistant chief at the governor’s Office of Emergency Services. The number of dead could increase as the biggest fire is only a quarter contained. “There is no housing to support a population to support its own economy,” Bailey told the Los Angeles Times Monday. 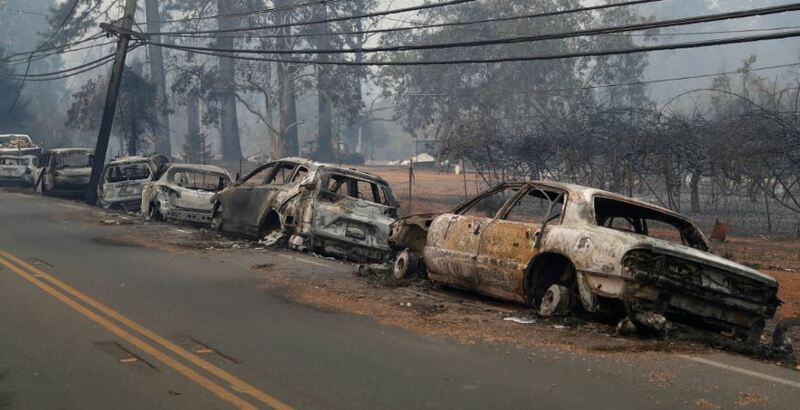 The three major fires — Camp Fire, Hill Fire and Woolsey Fire — scorched more than 300 square miles, mostly in Northern California, according to Cal Fire. Hundreds of thousands were forced to evacuate, including 160,000 from Los Angeles, where the Woosley Fire and smaller Hill Fire burned. Paradise resident Shane Bender was one of a handful of holdouts from the Camp Fire that officials say destroyed 6,435 homes and 260 commercial structures, the most damaging fire in recent California history. Destruction from the fires equals that of the 1933 Griffith Park disaster in Los Angeles. Paradise Police Department Sgt. John Alvies struck an optimistic tone despite the devastation.